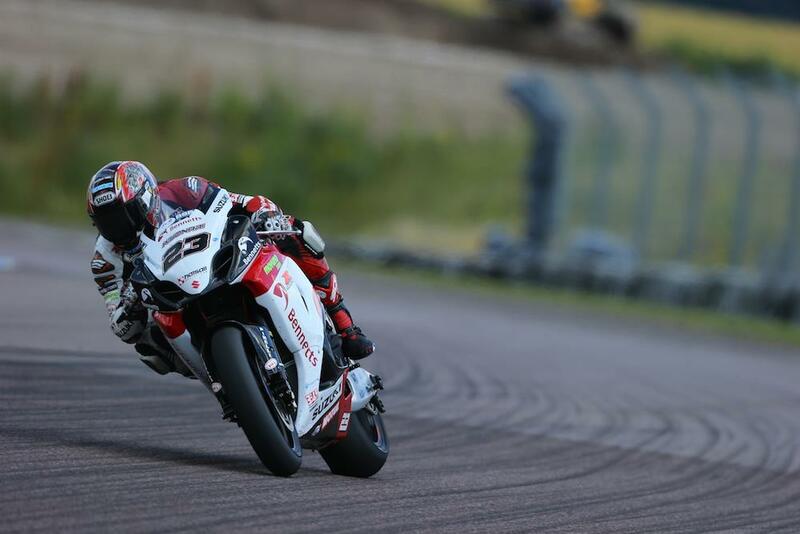 The opening day at Thruxton saw a boost in confidence for Bennetts Suzuki’s Ryuichi Kiyonari, who rounded out the second session sixth fastest after a re-assuring step forward with the GSX-R1000. The three-time British Champion has struggled so far this year and when a glimmer of pace began to show he fell and broke his collarbone at Brands Hatch. However, a strong start to proceedings at the super-fast Hampshire track has left him feeling confident ahead of Sunday’s two races. Despite placing sixth fastest in the session, he’s much more confident in the Bennetts Suzuki’s race pace ahead of Sunday’s two 20-lap outings. “That was better than the last few rounds,” he told MCN after the session. “This morning I was 27th but everybody else used a new tyre where I didn’t so I couldn’t improve my time, but in the second session we made a big improvement. “My confidence is much better; the bike feels a lot better too. We’ve been working quite a lot on machine balance which is very important to me. To be honest, over just one lap I’m not amazingly fast but I am very consistent over more laps. BSB: Opinion: Is Ryuichi Kiyonari finished?